I saw this on a couple other blogs I read, and man this guy is awesome! He claims to not be able to play, but he is a composer just the same. Check out these editing chops! Now that's a nice mixture of my two passions: drums and editing. I know this news is ‘sooo 10 days ago’, but I learned today that Larry and Andy Wachowski (writers and directors of “The Matrix” trilogy) are writing and will direct a live-action version of "Speed Racer". After years of idling, the big-screen, live-action version of "Speed Racer" is ready to zoom, this time with Larry and Andy Wachowski behind the wheel. The Wachowski brothers are writing and will direct the movie, which will be produced by Joel Silver. "They are approaching these racing scenes in a way you've never seen before," said Silver. Silver also said that "Speed" would be family-friendly. 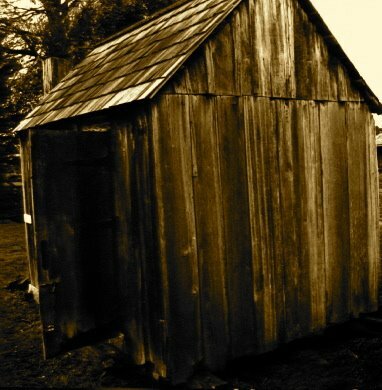 The plan is for the Wachowski’s to shoot in summer 2007 for a summer 2008 release. I have been waiting for years for someone to get it together and make this film. 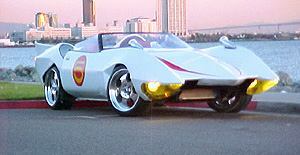 “Speed Racer” was one of my favorite shows as a kid, so my level of anticipation is very high, and knowing what the Wachowski brothers are capable of, I also have a high-level expectation for quality . I'm really looking forward to seeing who is becomes attached to play Speed and Racer X (Speed's estranged brother - don't tell anyone). More good news is that John Gaeta, responsible for the ground-breaking special FX in "The Matrix", is on-board as well. It’ll feel like a long wait for this to come out, but I remember first hearing about the "Lord of the Rings" movies going into production. That felt like an eternity too, but now those films are already sitting on my shelf. I guess I’ll have to figure out something to pass the time. 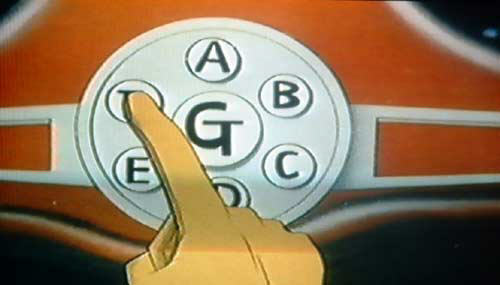 Maybe I could modify my car to have a "Mach 5" steering wheel. My favorite button is "A". That's the one that deploys the 'jacks' that Sparky uses to work on the car, but Speed uses it to jump over just about anything in his path. "C" is a good one too. That one deploys the forward rotary-saws for heavily wooded terrain. I would use it to get through LA traffic faster. 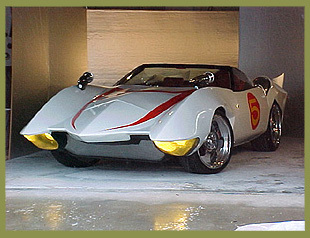 Or, maybe I could modify my whole car into a working "Mach 5" replica. Honestly, who DOESN"T want one of these. Summer 2008? I should be ready by then. 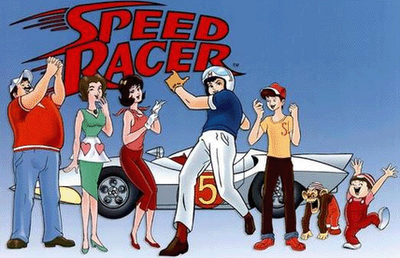 Go here for in-depth information and history of “Speed Racer”. Despite the focus on a sound design career and that silly "making a living" stuff, I have tried to keep my inner-drummer happy throughout the years. Since moving to LA, I've been fortunate to have several gigs and the occasional recording session. For the last few months, the drummer in me has been screaming to get more slack in the leash. Luckily, I have a few cool playing opportunities coming up in the next couple of months. When I played with The Calling, it was an era when I probably used "too many notes", as I criticized in my last "Drumming For A Lifetime" installment, but hey, it is what it is - and the music is fun to play, so I'll deal with it.